I came home with lots of lovely fibres (and some new tools which I will tell you about next week). This year I tried to choose fibres that I haven't spun before like Yak, Angora and scary "stick to all your rough bits' silk hankies (goodness only knows what I am going to do with those)! There are 2 events that I try not to miss each year, this one and Unravel - they both have lots of variety, lots of enthusiasm, lots of independents, and none of the sharp elbows you get at some of the more commercial events. 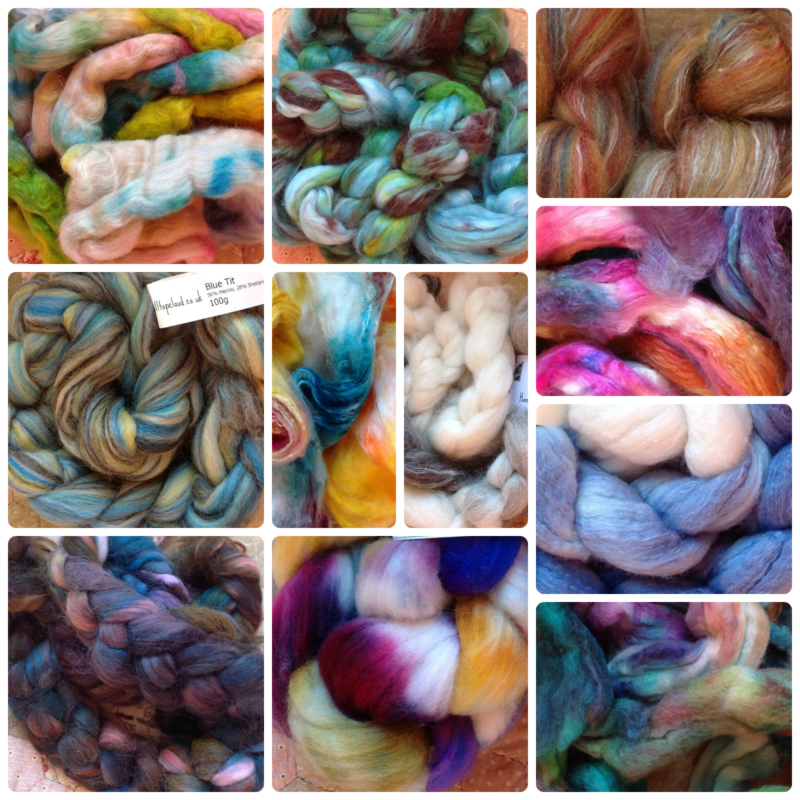 If you are around this neck of the woods I highly recommend Fibre East.It is so lovely to see the fibres you have been coveting online in the fluffy flesh! So how about you, do you ever get home from these kind of events and feel a mild case of stash overwhelm? What do you think of my plan? I love your plan (and am very envious of the stash enhancments here!!!!). I wish I could have gone, but falling between an expensive birthday and TWO trips away this month, it wasn't going to work out this time! I'll just dream about Unravel 2014! Wow, sounds like a busy month for you! Maybe you'll make it next year, its a lovely spinny event! Fantastic fiber that followed you home! I am so amazined how you'll be spinning yak and angora. I'm in total awe.